GovLabPHL hosted their first Author Talk with Brian Elms, author of Peak Performance: How Denver’s Peak Academy is Saving Money, Boosting Morale and Just Maybe Changing the World. (And How You Can, Too!). This event was open to City employees. They brought their lunch, heard from Brian, and got their book signed! When Denver Mayor Michael Hancock took office in 2011, he inherited an $80 million budget shortfall and a government workforce that had been through multiple rounds of cuts and furloughs. Morale was low. He needed a way to drive greater efficiencies, cost savings and improved performance-and he had to do it in-house, on a shoe-string budget. Peak Performance gives a clear overview of Peak Academy training methods and tools (including yes, all those yellow stickies). Peak Performance is a book that will help public sector leaders replicate the Peak model. It's a book for government managers to read and talk about with their teams. But most importantly, it's a book for anyone working in government at any level-about the power of good ideas to improve the way government works. Have you felt lost while filling out a government form before? On Saturday, May 19, 2018, GovLabPHL in partnership with the Mayor’s Office and the Office of Open Data and Digital Transformation hosted Philadelphia’s first PHL Form Redesign event to help the City of Philadelphia makeover several forms that effect our City's residents and businesses. We invited all to join us - neighbors, friends, local non-profits, and business partners! Attendees were able to select which form to work on upon arrival. 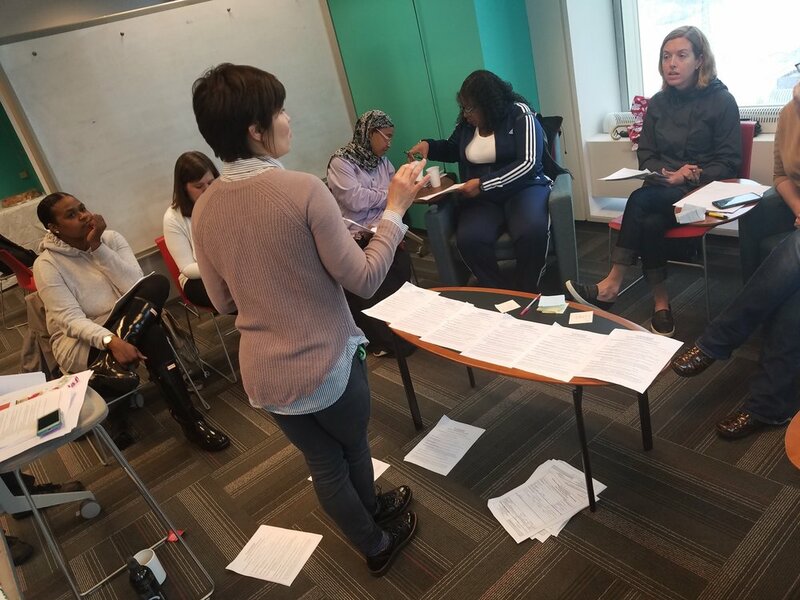 Philadelphia Language Access Grievance Form -- allows residents, businesses, and organizations to report instances where non-English or limited English speaking individuals are denied language access services. Marketing Grant Application -- A new grant application that nonprofits can apply for to promote their neighborhood business district. The maximum grant amount is $25,000. Installation Permit for Combustion Engine -- Allows businesses to install internal combustion engines (ex. emergency generators and fire pumps) in the City of Philadelphia. Special Events Application -- A "all-in-one" events application form that residents, businesses, and organizations use to run events requiring City services and approval. Outdoor Food Establishment Application -- Health Department application for beer gardens approval and permitting. Throughout 2017, the City of Philadelphia, specifically the Office of Open Data and Digital Transformation, the Mayor’s Office, and GovLabPHL in collaboration with the University of the Arts Design for Social Impact Program hosted lectures and panels open to City of Philadelphia employees and the public entitled BY DESIGN: Transforming public sector services. The series explored the role strategic design—which includes service design, human-centered design, design thinking, design for social impact, and inclusive design—can play in creating more dignified, equitable, and accessible end-to-end government services. A wide-range of leading-edge U.S.-specific case studies were examined—demonstrating how strategic design has been used to improve affordable housing application processes, to explore connections between opiate use and jail overcrowding, to increase access to services for Veterans and their advocates, to reorient government around the needs of its constituents, to craft more accessible government information systems, and to challenge the cycle of poverty by designing holistic, empowering cross-sector financial services. What does public sector strategic design look like in practice and what role can it play in transforming government services for the better? What can the private sector learn from public sector service design inventiveness? How can massive, complex government agencies reorient around the needs of the public—delivering more dignified, accessible, and equitable services? What is the relationship between strategic design and organizational change? How do participatory design methods encourage cross-agency and cross-sector collaboration that results in empowering government services? This speaker series was funded by the City of Philadelphia with a grant from Living Cities and support from the University of the Arts Design for Social Impact Program. Attendees of the 2017 PBSI Conference had the opportunity to watch City employees present with a partner researcher, on how the City is using behavioral science within Revenue, L&I, OTIS, Philly Bike Share, and the Zero Waste and Litter Cabinet. Attendees also heard from key external leaders such as Angela Duckworth, the author of Grit: The Power of Passion and Perseverance, and David Yokum, the Director of the Lab @ DC who served on President Obama’s Social Behavioral Sciences Team (SBST). 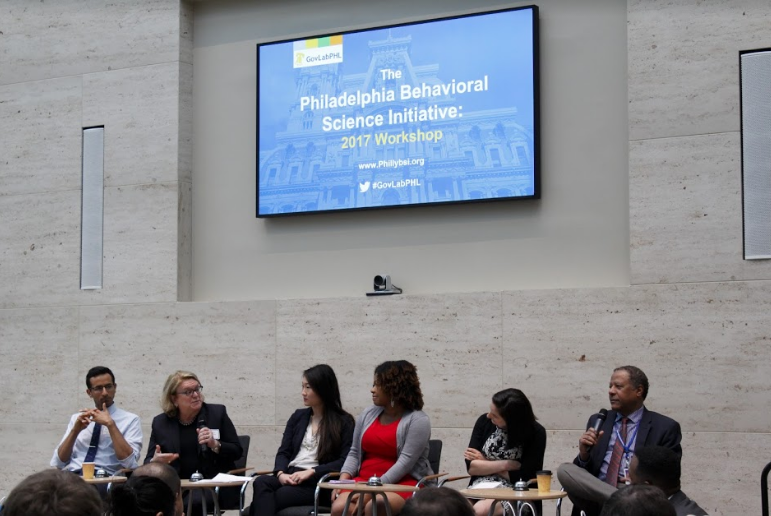 Our inaugural behavioral science conference introduced City leadership to behavioral science and allowed attendees to network and workshop challenges with researchers. Speakers included Katherine Milkman, Sara Heller, Syon Bhanot and many more.